Take me away from Aus crowds in summer, please. – Photo Swilly. Summer in the southern hemi is upon us, with all its joys and disappointments. To help you maximise the stoke and minimise the drag, remember that life is always better when you have a summer escape trip booked and you are looking forward to a new experience. 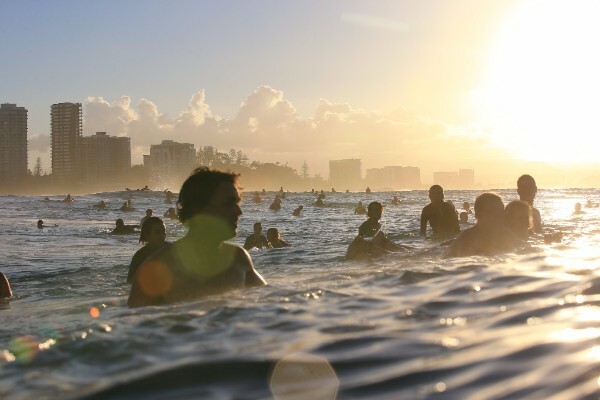 With this in mind, we have put together a short list of Summer Surf Adventures that are guaranteed to keep you stoked on summer, even as the junky wind swell gets more crowded with both bluebottles and people. At the Perfect Wave, we are lucky to talk to surfers about epic trips – all day every day. We learn a few things along the way – including what surfers want in their summer surf trip. 2. Easy to get to – less time for connecting flights and ferries. 3. Be on the receiving end of consistent swell trains. 4. Not crowded – after all that’s what we are trying to get away from. Thankfully there are some stunning destinations that tick all these boxes. PNG is no secret – but it remains uncrowded while receiving consistent North swells and offering a great variety of perfect, inviting reef breaks. Sumatra still attracts Indian Ocean swell from a variety of windows. Winds are slack and crowds are down. If you are looking for a classic surf charter, the Southern Atolls of the Maldives can’t be beaten. Long period groundswells bring some punch to Maldivian perfection. Of course don’t forget Pacific holiday islands with great self-guided surf experiences – think Hawaii and New Zealand. If you choose PNG for your summer surf getaway, there are a few broad guidelines. Choose Vanimo to maximize exposure to swell, Nusa Island Retreat for ease of access, and Rubio for the adventure – so much coast to explore and find waves. If Sumatra grabs your attention, then ease of access will be a major consideration. Its hard to find a more direct flight schedule than Simelue. Fly to Medan and then an afternoon domestic flight to Simelue and you will be paddling out for a late surf just a day after departing Australia. No need for long layovers or overnight stays. Just fly and surf – and there is nowhere better than the new Mahi Mahi Surf Resort and Charter. Perfect Peak out the front and if the swell turns on, you can also launch a strike mission to the nearby Banyaks. For a different Maldives experience, the Southern Atolls feel like you are right out in the middle of the Indian Ocean – which is great because they are a swell magnet. Long period groundswells from distant swell sources wrap and peel down perfect reefs under light winds – a long way from the main Male Atolls. But don’t underestimate some of our favourite holiday islands in summer. Hawaii is pumping for months after the pros have departed. The North Shores of Kauai, Oahu and Maui are incredible – and welcoming. After months of epic waves the locals are virtually surfed out and the real spirit of aloha is seen in the water. New Zealand is so diverse, a touring smorgasbord – and it benefits from swell from every direction in summer. There are always waves – the adventure is finding the right coast on the day. Finally, Bali should never be forgotten. A stay at S Resorts Hidden Valley makes all the rights of Bali’s East Coast accessible. Our guides will put you on the spot when light offshores and consistent swell turn the East side in to a surf playground. Southern Maldivian bliss. – Photo Nathu. Raul Right. A few minutes from Nusa Island Retreat. Photo by Peter Silvia. You can score quality waves in the Maldives Southern Atolls, PNG, the Solomons, the Mentawai, Hawaii, P-Pass and beyond. 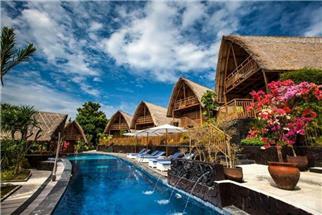 S Resorts Hidden Valley is located on Bali’s Bukit peninsula, nearby some of the best waves in the region. Score Padang Padang, Impossibles, Uluwatu, Balangan and many other spots. The resort has a resident surf guide and local instructor. Surf uncrowded waves when you want with Taiwan Surf Tours. They have private rooms and group dorms to accommodate anyone. These trips are geared towards intermediate to advanced surfers. Sumatra is the second largest island in the Indonesian archipelago. There are countless waves to surf and discover, from the South Sumatra to Mentawai, Banyaks, Nias, Asu and further. You can stay at the boat, a surf camp or at a nice surf resort. Only just recently increasing in popularity, these atolls are less travelled due to their distance from Male as a domestic flight is required to get there. This is great news for those is looking to get away from any crowds. A Mixed Mid Year Mentawai Surf Trip. Still my Mac Daddy!